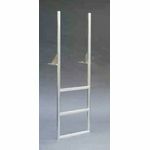 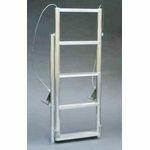 Aluminum Swing Dock Ladders | BARR Plastics Inc.
Aluminum swinging ladders come with a fixed stainless steel bolt through it which pivots in a self-lubricating brass bushing installed in the bracket for maximum wear. 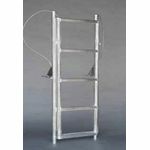 The ladder can be stored up and out of water (90°) and features a "quick" release pin to lock in the upright position. 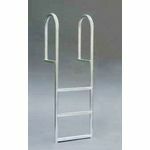 Alternatively, the ladder section can be removed (leaving mounting brackets bolted to deck) to prevent theft when away. 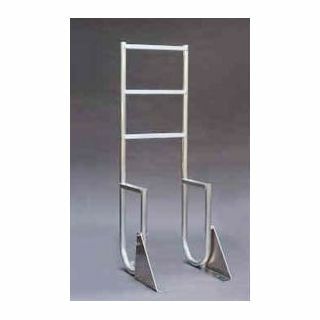 Perfect for keeping side rails and steps clean and avoiding marine growth.